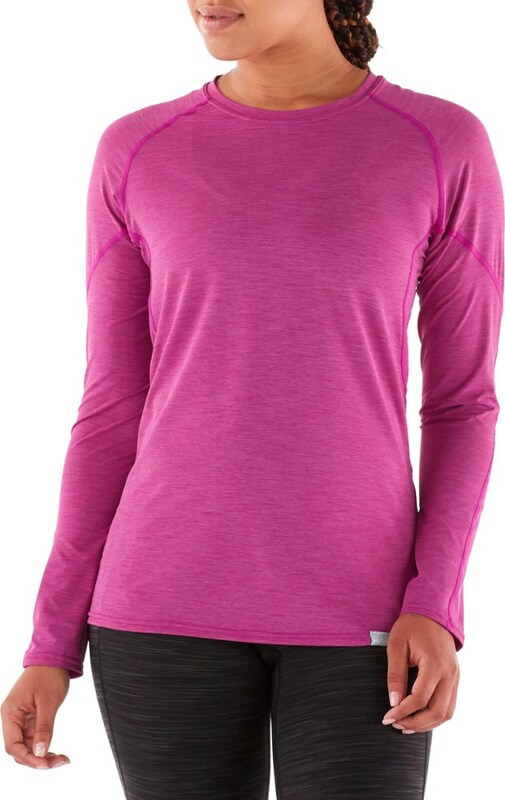 NRS Women's H2Core Silkweight Long Sleeve Shirt - The NRS Women's H2Core Silkweight Long Sleeve Shirt is the ultimate paddler's sun shirt, the technical wicking fabric performs well as an ultralight base layer. 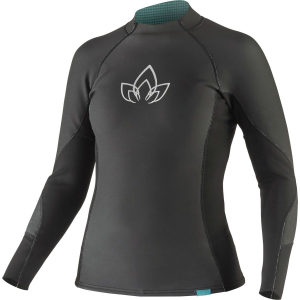 The relaxed fit for casual comfort for kayaking and rafting, the H2Core Silkweight is perfect for any day on the water! 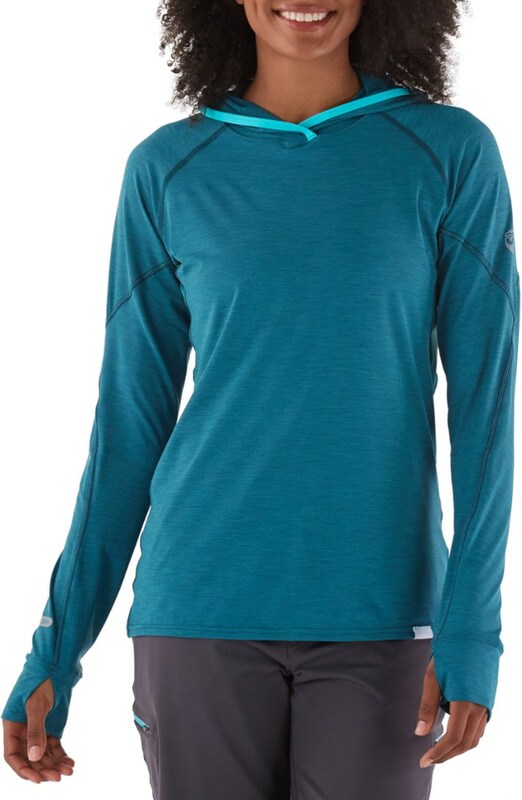 The women's NRS H2Core Silkweight long-sleeve shirt is the ultimate paddler's sun shirt, and the technical, wicking fabric performs well as an ultralight base layer, too. 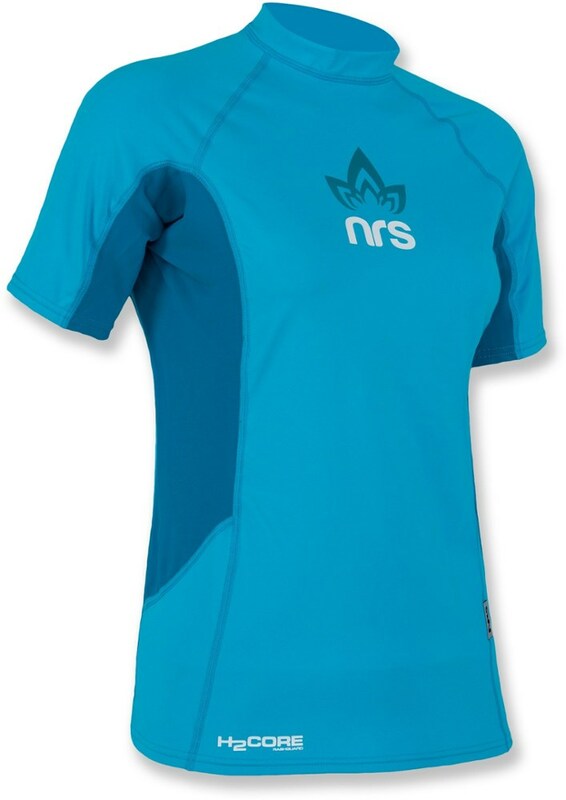 When the water's chilly but the day is warm, the NRS Women's H2Core Long Sleeve Shirt works with your body to promote natural cooling. Whether you're testing out a new paddle board at the local lake or playboating on a hot day, the breathable, quick-drying polyester pulls moisture off your skin for comfort that's cool. 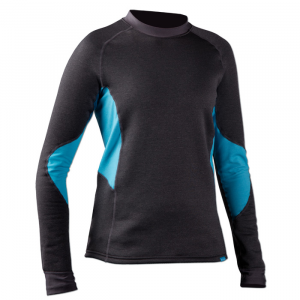 The shirt's UPF 50+ sun protection shields you from the sun's harmful rays, which intensify when reflecting off open water, and a relaxed fit enables freedom of motion whether you're wearing it alone or using it as a baselayer. 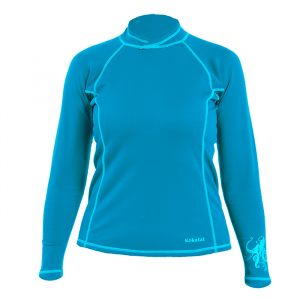 The NRS Women's H2Core(TM) Silkweight Long-Sleeve Shirt is the ultimate paddler's sun shirt, but the technical, wicking fabric performs well as an ultralight base layer, too.. . Fabric: 5.4 oz. 92% polyester / 8% spandex blend. Silkweights deliver advanced sun protection for SUP, kayaking, rafting, and other active water sports.. Friction-free zones under the arms ensure comfortable paddling and rowing.. 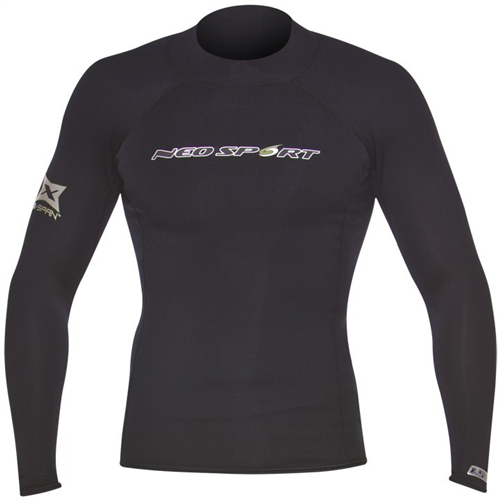 Relaxed fit for casual comfort by itself, as a base layer or under a life jacket.. Silkweight fabrics enhance the body's natural cooling process by wicking excess moisture and drying quickly for cool comfort.. UPF 50+. Weight: 7 oz.. Collections: Silkweight. Collar: Crew. Fit: Relaxed fit. Machine washable. Imported.